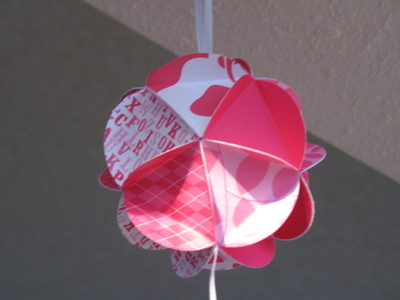 A card ball, Valentine-style. Actually made from scrapbook paper, not card. Instead of cutting each circle by hand, I used a large punch. (Not quite 2" size.) Took a little finagling to get that equilateral triangle just right, but I think I know the trick now. Definitely plan to make a few more of these, just for fun and/or maybe for gifts. 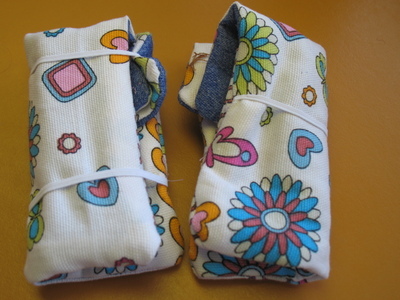 The pockets were made on the same principle as the crayon roll-ups that you've seen all over. I made two sets - each had a mom and a dad, but one set had three girls, and the other had two girls and one boy, to reflect the actual families these gifts went to. 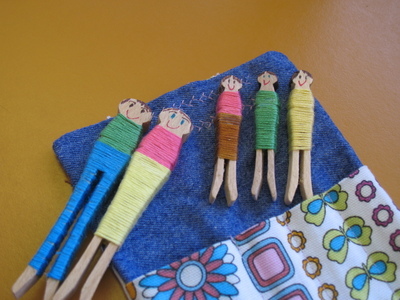 Their clothes are simply wrapped and glued embroidery floss, and their hair and faces are Sharpie marker. *I forgot to add, the loops are elastic, so no ties! 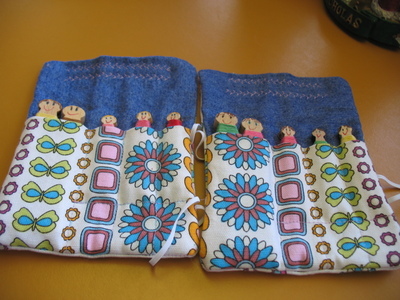 I am going to do this on the next crayon roll I make, too. Much easier for little hands, and big ones, for that matter. 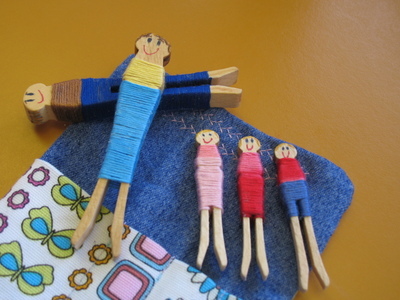 Here is a little family with their pocket that I made as a Christmas gift for my goddaughter who has two sisters. I will post more pictures later tonight. Whew. 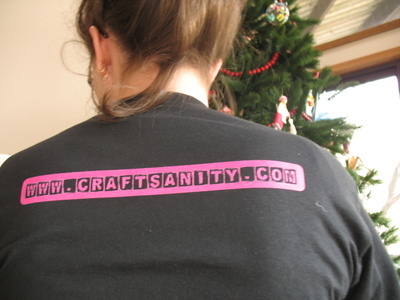 I'm having a tough time getting back into blogging after the holidays. Happy New Year to you. I have so much real life to deal with right now that my blogs are taking a back seat out of necessity. Creatively, I want to keep up with my blogs, and reading yours, but practically I don't seem to be able to squeeze them in these days. 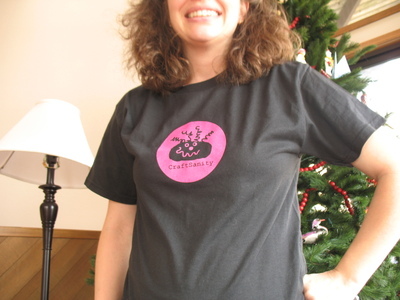 The best I can say is: Thanks for bearing with me and my broken-record bemoaning, and ... I'll see you when I see you. Tomorrow? Next week? Next month? TTFN, Friends.